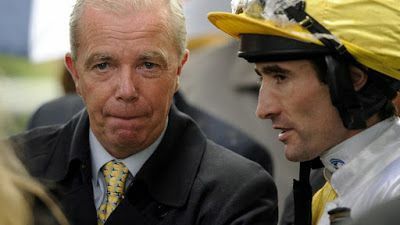 The two-year-old horse racing season it building a head of steam and Patient Speculation has its finger on the throttle. We know our readers love to bet so check out www.novibet.co.uk to see the latest odds on all your horse racing meeting. We are lucky enough to have some excellent contact who detail the best two-year-old race horses in training. In fact, big or small stable we can find their secret weapons - those dark horses which get the column inches. Godolphin have been a little hit and miss with their two-year-olds this season. However, they have still hit the mark with a few fair talents. Remember La Pelosa, Quorto and Beyond Reason. They have all shown ample ability, some racing at Group class. One debutante worthy of respect is Art Du Val. This bay colt is a son of Nay Say Never who cost 120,000G when purchased at the yearling sales. The mare raced just four times and runner-up on a couple of outings competing up to listed class. Art Dul Val was meant to run around mid July but a non runner. 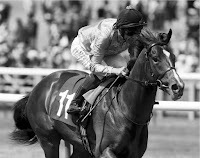 He is clearly held in some regard being given a coupe of significant entries including a Gimcrack Stakes (Group 2) & Futurity Stake (Group 2) in Ireland. This is just one of two entries for the Gimcrack from this stable which looks a very big indicator to ability. Should go well on debut. Michael Bell is a a gifted trainer but often difficult to assess with his debutantes. They can win but that is usually the reserve for the best in the stable. Others may prove disappointing before improving on their second start. Lady Aria is worth noting because she is one of three two-year-olds the handler has entered for the Lowther Stakes (Group 2). This British-bred daughter of Kodiac cost 125,000G at the yearling sales now in the ownership of Amo Racing Ltd.
One of my favourite trainers. A superb handler of two-year-olds. You only have to look back to Quiet Reflection for Onetoawinner racing syndicate. Whether he has anything of that class is another thing. However, he does exceptionally well with his two-year-olds and that's reason enough to take note of Lady In France. This February foal is a bay daughter of Showcasing in the ownership of Clipper Logistics. She cost 210,000G. The mare won on her second start. Although just a fair handicapper with a rating in the 80s she was a consistent type who plied her trade up to listed class. Lady In France has been given a Lowther Stakes (Group 2) entry. The only other horse to be given such an entry is Little Kim who won easily on debut and won a Group 3 race in France. I get a good feel about this filly.